Size: approx. 5 mm. Photo: 07/14/11, 5 pm. This insect was so small that, before looking at the photo, I had no idea that it could be a wasp. More precisely it's a ichneumon wasp. 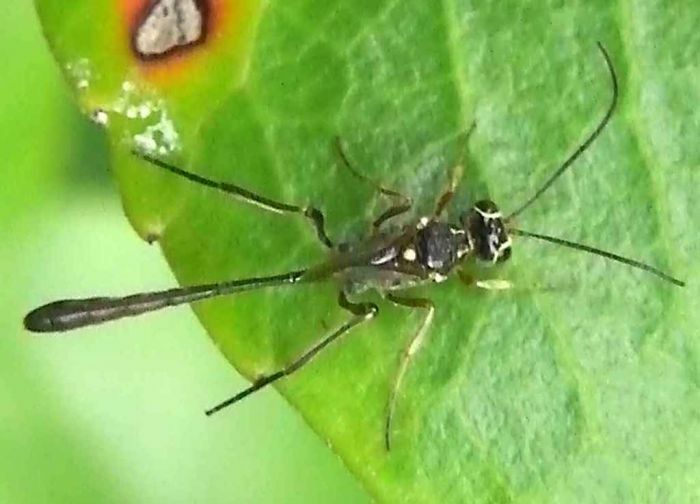 They are slender with long antennae, parasitic, and have thousands of species in North America. This one belongs to the genus Anomalon which has only 12 species in the US. A bug guide expert determined that it is a male.